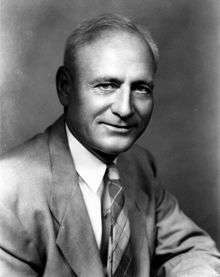 Gustave Kenneth Tebell (September 6, 1897 – May 1969) was an American football, basketball, and baseball player, coach, and college athletics administrator. From 1925 to 1929, he coached football at North Carolina State University, where he compiled a 21–25–2 record. From 1934 to 1936, he coached at the University of Virginia, where he compiled a 6–18–4 record. From 1930 to 1951, he served as the head men's basketball coach at Virginia. During that tenure, he compiled a 240–190 record. His 240 wins rank third in school history. Tebell also coached baseball at Virginia from 1941 to 1943 and from 1945 to 1955. Tebell played football and basketball at the University of Wisconsin. As an end on the football team, he was selected a second-team All-American by the New York Times. After graduating, he played for the Columbus Tigers of the National Football League (NFL) in 1923 and 1924 and coached three of the team's games in 1923. The University of Virginia honors Tebell by giving an annual award in his name, the Gus Tebell Memorial Award, which is granted each year to the graduating male student-athlete with the highest grade point average through his four years at the university. ↑ "M'Carthy Picks Them In Pairs". The Newark Advocate. December 6, 1922.